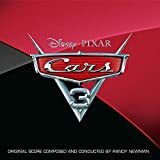 Accueil Produits Musiques Ride – Paroles de la chanson dans “Cars 3”. 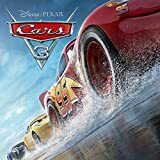 Ride – Paroles de la chanson dans “Cars 3”. Top down, the sun’s gonna lead us there. Ray Bans and this ’64’s all we need. Don’t let your head get in the way. Just let your heart beat wild and free. Open the door, jump in, and turn the key. I live my life out on the edge. Yeah, I don’t stop just ’cause it’s red. Let’s push this thing, see what we get. This black pavement, these yellow lines. Are pulling us into the night. I feel my temperature rise. Ride, ride, yeah we gon’ ride. I used to sit inside my room. Dreamin’ of things that I could do. Too scared to put my hands up on the wheel, oh. Now I’m with you, and I can’t look back. It’s such a rush when we’re moving fast. I can’t deny the way you make me feel, whoa. What you waitin’ for ? Ride, ride, yeah we gon’. Yeah we gon’ ride, ride, ride.